Can your DNA predict what you look like? On 30th January 2015 the Mail Online reported that forensic experts can use a person’s DNA to predict their eye and hair colour, freckling and the shape of their face. The technique is called DNA phenotyping and uses genetic ancestry information from DNA to predict physical characteristics. 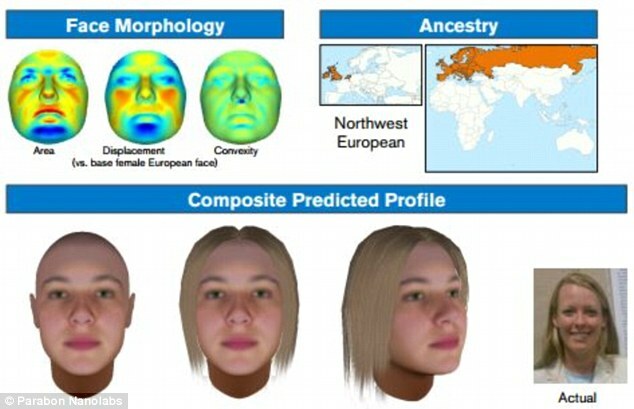 The Mail article showed images from a US company that suggested using information from a person’s DNA, researchers could generate facial reconstructions for use in forensic police work. For more on this, read our guide: Sense About Genetic Ancestry Testing.